Four UN Special Rapporteurs urged the Russian Federation to "immediately and unconditionally" release the Ukrainian filmmaker, Kremlin prisoner Oleg Sentsov. The corresponding statement was made by Special Rapporteur on the promotion and protection of the right to freedom of opinion and expression, David Kaye, Special Rapporteur on the right of everyone to the enjoyment of the highest attainable standardof physical and mental health. Dainius Pūras, Special Rapporteur on the situation of human rights defenders, Michel Forst, and Special Rapporteur on Extra-Judicial summary or arbitrary Executions, Agnes Callamard. 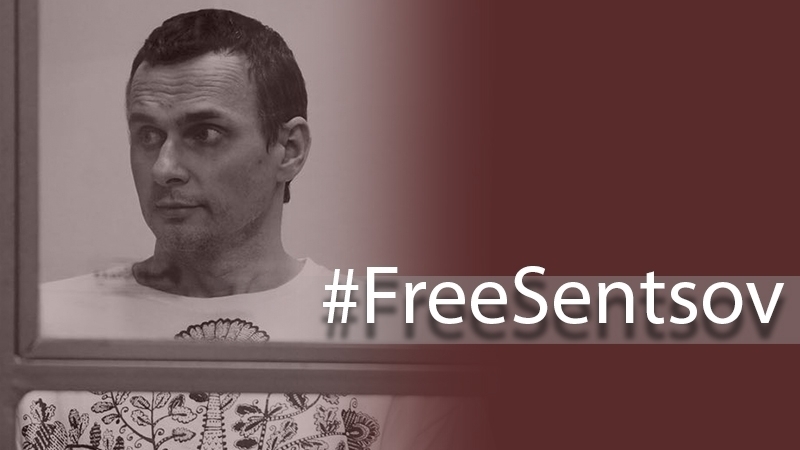 The statement of UN representatives notes that Sentsov's life is in imminent danger. They further note that the hunger strike was the result of a trial and a verdict that do not comply with international law. The Special Rapporteurs recalled that in May 2014, the Ukrainian film-maker and outspoken critic of the Russian occupation of Crimea, was arrested and sentenced to 20 years of imprisonment illegally. It is stressed that he was tried as a Russian citizen on charges of terrorism. Human rights defenders called on the Russian authorities to immediately ensure Sentsov's access to proper medical treatment and render it only with the consent of the convicted. Earlier, the Russian government denied mother of Oleg Sentsov pardoning his son. The pardon department of the RF President's Office for Ensuring Constitutional Rights informed Lyudmila Sentsova that to begin the pardoning procedure, the Ukrainian filmmaker must himself appeal to the Russian president in writing. The commission of the Yamalo-Nenets Autonomous District of the Russian Federation, where Sentsov is serving his sentence, failed to accept two petitions on the pardoning of Ukrainian film-maker. The second petition was filed by the Archbishop of Simferopol and the Crimean of the Ukrainian Orthodox Church Kliment.